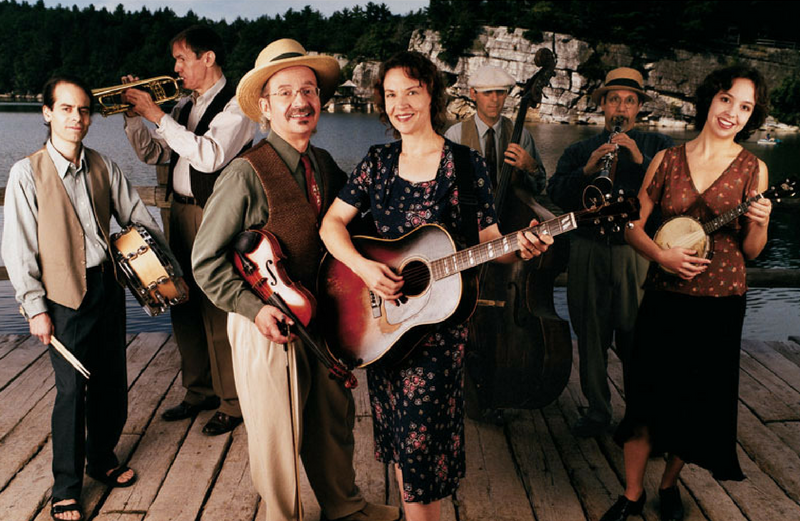 Jay Ungar & Molly Mason achieved international acclaim when their performance of Jay’s composition, Ashokan Farewell, became the musical hallmark of Ken Burns’ The Civil War on PBS. The soundtrack won a Grammy and Ashokan Farewell was nominated for an Emmy. The piece was originally inspired by Jay & Molly’s Ashokan Fiddle & Dance Camps in New York’s Catskill Mountains, which are still going strong today. Jay and Molly are musicians of enormous talent who draw their repertoire and inspiration from a wide range of American musical styles—19th-century classics, lively Appalachian, Cajun, and Celtic fiddle tunes, and favorites from the golden age of country and swing—along with their own songs, fiddle tunes, and orchestral compositions. They can present a variety of themed concerts, including Fiddler’s Holiday (a musical travelogue featuring an amazing array of fiddle music from many traditions), Ashokan Farewell: The Civil War and Beyond (a two-part concert featuring songs and traditional fiddle tunes popular long before the advent of records and radios), and Tenting Tonight: Music of the Civil War (a concert of lively dance tunes, sentimental ballads, and rousing marches heard in homes and front-line encampments during America’s Civil War), and many symphony programs.